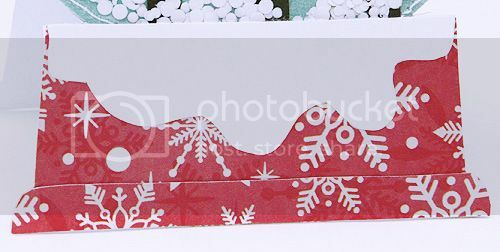 I have a fun little holiday card to share with you today, made with papers from the Paper Bakery's November kits. 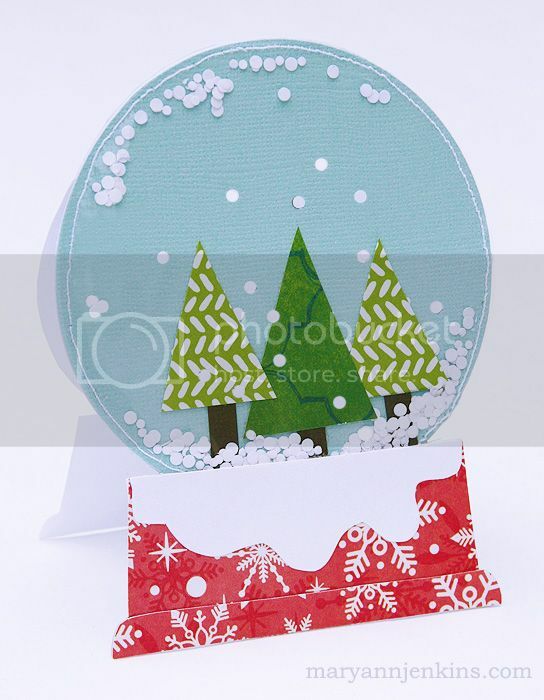 To make the card, I cut a 4" cardstock circle for the globe, a small rectangle for the base, then a smaller piece for the bottom of the base. I also added a small piece of white paper to resemble snow! I cut three triangles for trees, three tree stumps, and glued them to the cardstock circle. Next I cut a 4" circle from clear packaging that alphabet stickers had come in, and sewed it to the cardstock circle, leaving an opening at the bottom. I added confetti punched from white paper, and glued the opening shut. Now the confetti can float freely between the two layers. This is adorable, Mary Ann! So fun and festive! OMGOsh...this is the cutest!!! I will be borrowing this idea for my December daily! Such a cute idea! 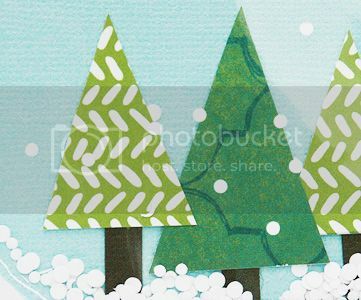 :) I may try adapting this with shapes I have in my Cameo library and cut all but the confetti that way. Great way to recycle too! Thanks for posting! I love this! So super cute! Beautiful card. Wish I could make cards like that! Very cute snow globe. Great idea. Could you please check a lifting request, which was send by peamail via Two Peas to you. Frauke is still waiting for an answer. I like this special card idea so much! Would love to lift it.